Aa Dinagalu (Those Days) was one of the films recommended to me by the very helpful Jay at Kannada store and it was an excellent pick. The film is based on experiences from the life of former gangster turned writer ‘Agni’ Sridhar and is an interesting depiction of life in the Bangalore underworld of the eighties. The gangsters are not glamorised at all, but are shown as real people with plenty of faults and eccentricities which ultimately lead to their respective downfalls. It’s not all about the gangsters though, as Aa Dinagalu also tells the story of a romance between two young people and how they end up being drawn into the gangsters’ world. The film won numerous awards including best director for newcomer K. M. Chaithanya, who does a great job here with the simple story. The film starts with Chetan (Chetan) and his girlfriend Mallika (Archana) discussing how best to approach the topic of their marriage with Chetan’s family. They come from very different backgrounds; Chetan works for his high caste, rich, industrialist father, while Mallika’s is from a farming background and works as a dance instructor. Chetan is so enamoured of Mallika he thinks that his father will only need to meet her to be won over, but he has reckoned without his father’s determination that his only son should make a good match and certainly not marry a girl who is of a lower caste, let alone a few months older – the horror! Girish Naik (Girish Karnad) has no compunction about hiring local gangster and current head of the Bangalore underworld Kotwal Ramachandra (Sharath Lohithashwa) to scare Mallika off, but the plan backfires when Chetan turns up just as the rowdies start to threaten Mallika. Chetan has inherited his father’s determination and decides to find out exactly why his girlfriend has been targeted by the city’s biggest don. 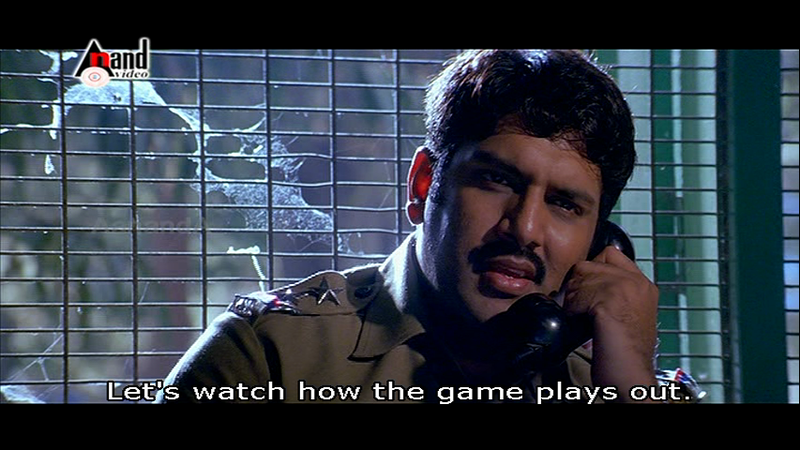 At the same time Kotwal’s main rival Jairaj (Ashish Vidyarthi) has just been released from 10 years in jail. In the seventies, Jairaj became the first don in Bangalore with the help of the chief minister and the politicians of the time, but during his enforced absence from the underworld his position was filled by Kotwal. On his release, Jairaj determines to get back his empire and destroy the upstart Kotwal in the process. 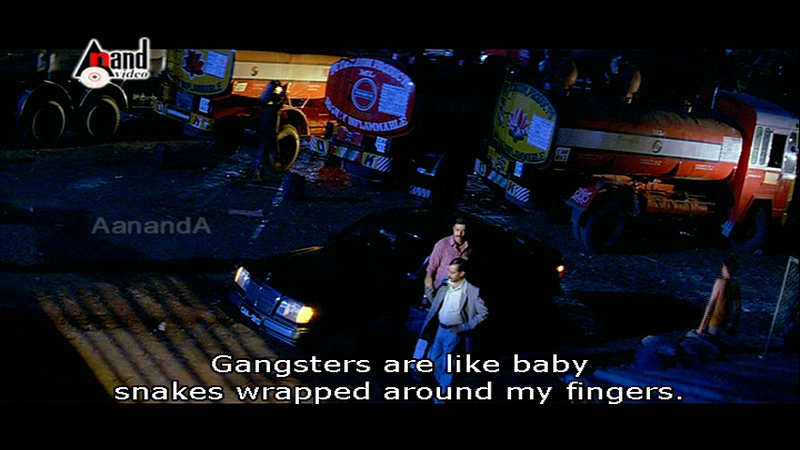 Added in to the mix is ‘Oil’ Kumar (Achyuthan) who has a rather unusual opinion of the gangsters, especially considering he is paying protection money to both gangs. Oil Kumar is also working with police inspector Shivraj to get rid of both dons, perhaps planning to take their place and certainly maximise his profits. It’s all very businesslike and chilling as the gangsters approach their various henchmen to organise hits and deliver warnings while the police stand by and wait for the eventual winner to emerge. After confronting his father and realising that he won’t back down, Chetan decides to try and get rid of Kotwal himself and approaches Jairaj for help. He’s young, rich and foolish so the gangster doesn’t take him seriously and brushes him off. 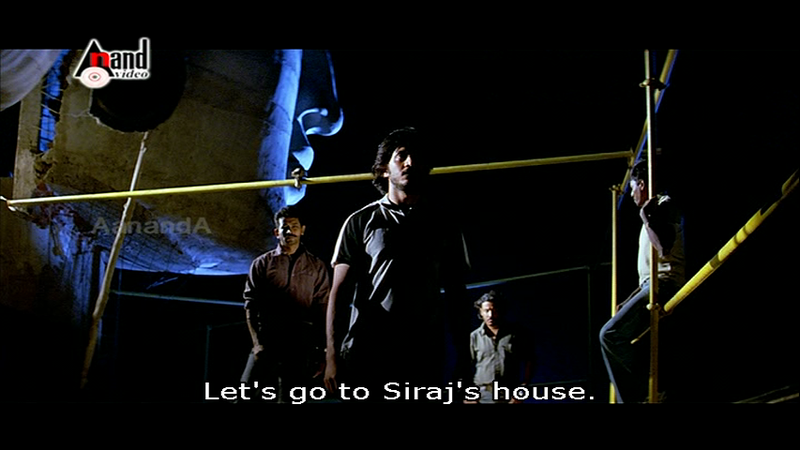 However Chetan has links to the underworld through his childhood friend Sirdar who works for Kotwal’s gang. Through Sirdar he meets Bachchan and his friend Sridhar (Atul Kulkarni) who, despite working for Kotwal, are happy to conspire against him. Chetan gets dragged deeper and deeper into the underworld and the film changes focus from the love story to the conspiracy to kill Kotwal as it reaches the climax. It’s a compelling story and it’s told very realistically without glorifying the gangsters or the violence in any way. At the end everyone has to pay for their actions, although the police seem to get away with their brutal methods of interrogation without any censure. The gangsters are shown to be primarily motivated by greed and Kotwal freely admits to Chetan that he only took on his ‘love affair’ because of the money he was paid. It’s a sordid and very unromantic view of the underworld. Sharath Lohitashwa is outstanding as Kotwal and brings his idiosyncrasies and odd superstitions to life. Kotwal is a hunted man with barely controlled hair who lives in perpetual mistrust of everyone around him, apart from his chief lieutenant Shetty. He’s frightening in his detachment as he slashes the odd bystander just to increase his reputation and equally unnerving as he unburdens himself to Chetan and reveals just how dangerous he really is. 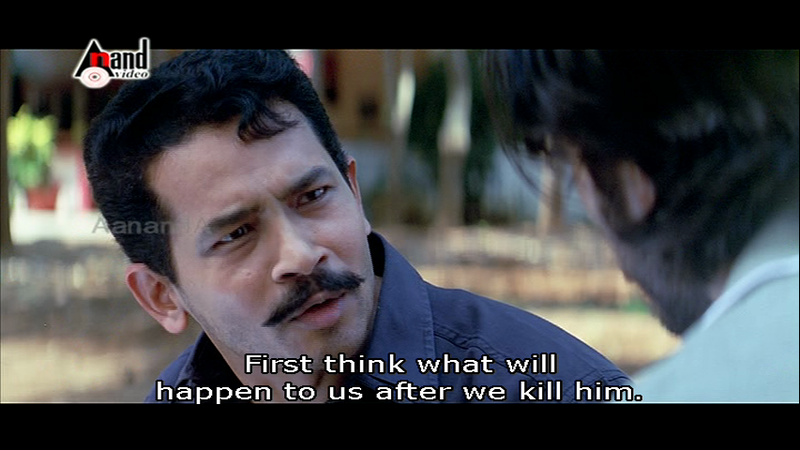 Sharath Lohitashwa makes Kotwal a driven man with strange beliefs and he’s very scary indeed. 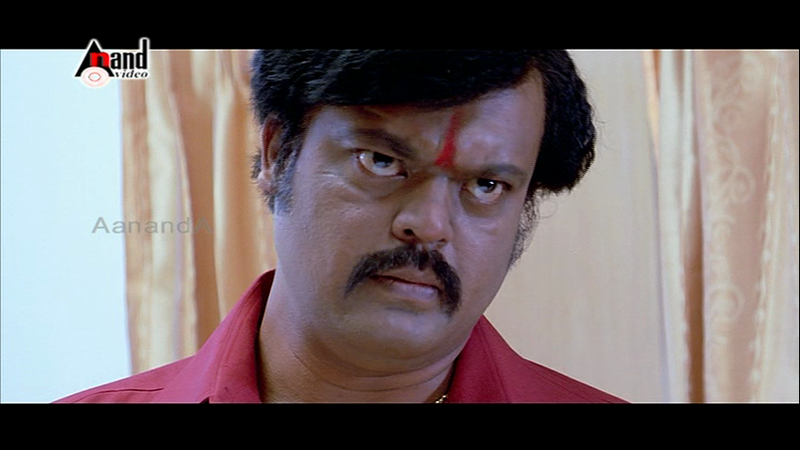 I don’t think he ever smiles throughout the entire film and he just exudes menace in every frame! Ashish Vidhyarthi is excellent as the more ‘typical’ gangster Jairaj; typical at least in the way that gangsters are often portrayed in films. He has the requisite seedy headquarters full of thugs extorting money and information from various unlucky individuals and corrupt officials bribing him for his support. Jairaj seems to be motivated by ego just as much as money, and he is ultra-confident, secure in his reputation and trusts the men around him. Quite a contrast to the more paranoid Kotwal, and Ashish Vidhyarthi gets Jairaj’s mix of arrogance and self-awareness just right. It’s the dichotomy between the two men and the constant rivalry and suspicion between their gangs which keeps the film interesting. The various henchmen are all well cast and deliver convincing performances, especially Dinesh Mangalore in his role as Shetty. Unusually there are no big fight scenes in the film and the violence is generally implied rather than shown, serving to demonstrate the criminal activities of the gangsters rather than acting as mass entertainment. The threats of violence are however frightening in themselves and there is no doubt that the thugs are prepared to carry these threats through if necessary. It’s noteworthy how the narrator Sridhar is portrayed as standing aloof from the others which I interpret as an inevitable consequence of writing your own story. However much Sridhar wants to keep to the truth it’s only natural to show himself in as good a light as possible, even if he doesn’t come away as totally squeaky clean either. Having watched this film I’ve been trying to track down a copy of his autobiography in English as the interviews I’ve managed to find are fascinating, and the rest of Sridhar’s story seems equally intriguing, but so far I haven’t managed to find it. 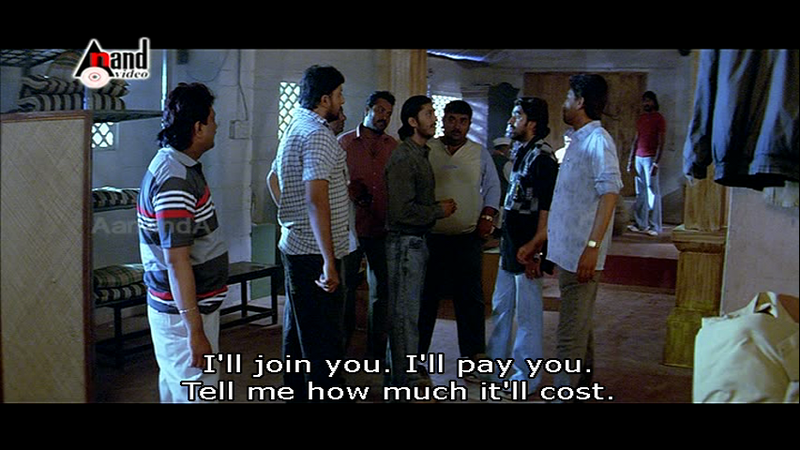 Sridhar is not a member of Kotwal’s gang and as we learn early on, hangs around with Bachchan to exact revenge on Kotwal for crippling his brother some years earlier. He’s shown as being much more intellectual, playing chess and reading books in English, and acts as the moral compass for the others. 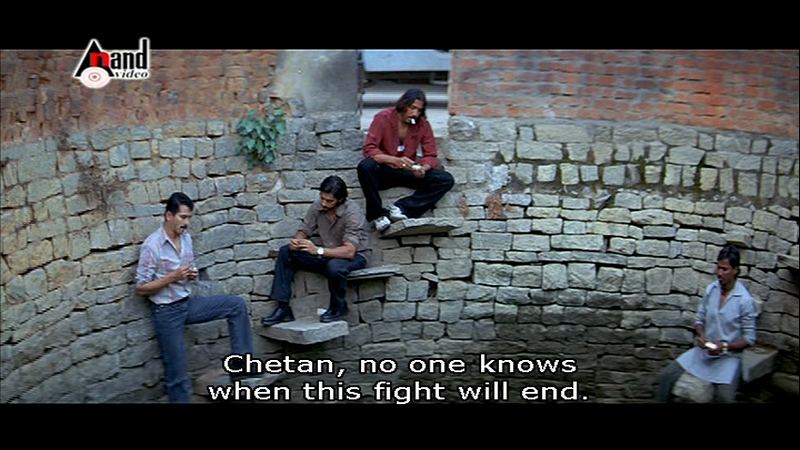 Sridhar, Chetan and Bachchan are generally depicted as more compassionate and likeable characters presumably to give their final actions more validity, but I do like that they still have to face the legal consequences of taking the law into their own hands and that there is no real winner in the end. Chetan’s youth makes him more impetuous and less afraid of the consequences of hanging around with gangsters and this is well shown by the young actor. Archana gives a convincing portrayal of a young girl in love who is happy to support her lover until the situation gets too out of control. She really does look terrified and her decision to leave Chetan when she discovers his involvement with known gangsters rings true. While Chetan’s devotion is perhaps a little overdone at times, I think that Mallika’s character is well written and she acts true to her nature throughout. The film is beautifully shot by cinematographer H. C. Venu although I doubt that the conspirators did meet in such wonderfully photogenic places as the inside of wells and underneath statues. Although the film starts with a fairly standard story of thwarted romance, it quickly evolves into something much more interesting and the slower pace suits the gradual build-up of menace. There are only two songs in the film and both are well placed to show the romance between the young lovers and not get in the way of the action. The music by Ilayaraja is beautiful and evocative and seems to suit the time period, although it’s the lack of mobile phones that I think places the film in the eighties. Chaitanya has vividly brought Sridhar’s screenplay to life and I really loved the way the various characters all bring something quite individual to the mix. It’s an interesting story that’s realistically depicted and I recommend it as an intriguingly different and worthwhile watch. 4 ½ stars.